Sometimes I want a solid, absorbing fantasy read and others something lighter. Yesterday was one of those so this book was what I chose. 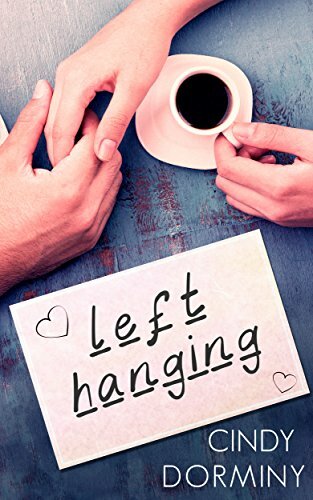 It fills that Lighter tag perfectly, being a sweet romance, great characters and a story that feels quite light and fluffy and then…descends into some serious drama, showing another side to al the characters and having some amazing emotion to it. I really liked the characters, they were a good mix from lovely Darla, hunkalicious Theo, to the wonderful Isaac who brought in some great humour. Darla’s has no immediate family except for sister Diane and daughter Stella, but she’s got some fabulous friend’s in the few people she let close in her life. she’s brought up Stella alone for many years now, thinking Theo didn’t want them. Then he turns up on a working rotation at her hospital…. He’s not what she expected, seems to have no idea about Stella and she’s puzzled. He’s clearly still attracted to her, flirting and acting really pleased to see her. Why doesn’t he ask about Stella? His attitude is perplexing. Theo is gorgeous, inside and out, and is delighted to find his “Juliet” having lost track of her after the fire on the night they met. without even her real name he’d no way to track her. He can’t belive he’s been given a second chance and isn’t going to let her go, but has to tread carefully as she seems scared. Of course there’s a balance to all these “good” characters in Mallory, Darla’s roommate from college, Theo’s Ex, though that term isn’t defined according to Darla! There’s a thinnish Christian thread running through here, with Theo being a preachers son, and his family all strongly religious, and though that’s often a turn off for me in a book it fits here. Its kept relevant to the story, gives a backbone to Theo’s family and the type of people they are so that I understand them, but at no time does the story Preach to the reader – that’s what really puts me off, when The Lord is the answer to everything and we just need to have more Faith. I’m not anti Christian, I’m just one of those who believer in a higher power but is it god as Christians see him or something/someone else? Here the religious side is just perfect for the story-line and works. Stars: Four, a fun, cute and light romance with some unexpected depth towards the end.